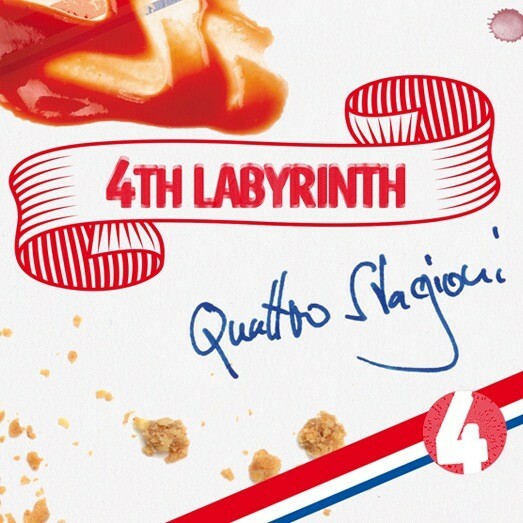 'Quattro Stagioni' is the debut from four highly talented musicians from Cambridge, collectively known as 4th Labyrinth. They live in a variety of musical styles, perfectly combining their masterful talents and musical tastes to forge a unique Rock sound. The four individuals in questions are John Harper on vocals/guitar, Marcel Kunkel on vocals/keyboards, Claudia McKenzie on bass with Tom Winch on drums. A fearsome foursome that lay down some straight-up Rock with some surprising elements buried within! When listening to this debut, you will be taken back to one of the most prolific time in modern music, the 1970s... but not completely. Although you will certainly hear shades of Marc Bolan/T-Rex, early David Bowie and even The Kinks occasionally come to mind, 4L also have a definite 21st century attitude and sound. The combination excites and allows the possibility to create some exceptional soundscapes and the listener is served a very diverse plate of songs and musical expressions. These four are certainly developing their own identity and in the process giving us new life and energy to Rock 'n' Roll! 'Quattro Stagioni' is not only straight up Rock; the group's writing skills run deep, deep enough that they create some serious emotion filled music. Be it slower meanderings to more mid-tempo journeys, each are a wide spectrum of musicality and vocal delivery. The playing from these four is also very much in the brilliant category. The interplay of guitar and keyboards is ever so tasteful, and perfectly married to complicated, yet fluid bass runs, all anchored by a driving rhythmic drum sound. Their influences may come from the seventies but their music comes from the present! 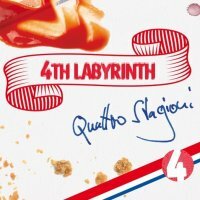 4th Labyrinth have undoubtedly discovered new musical jewels on those well travelled plateaus, gems that we are meant to hear and they are meant to play!